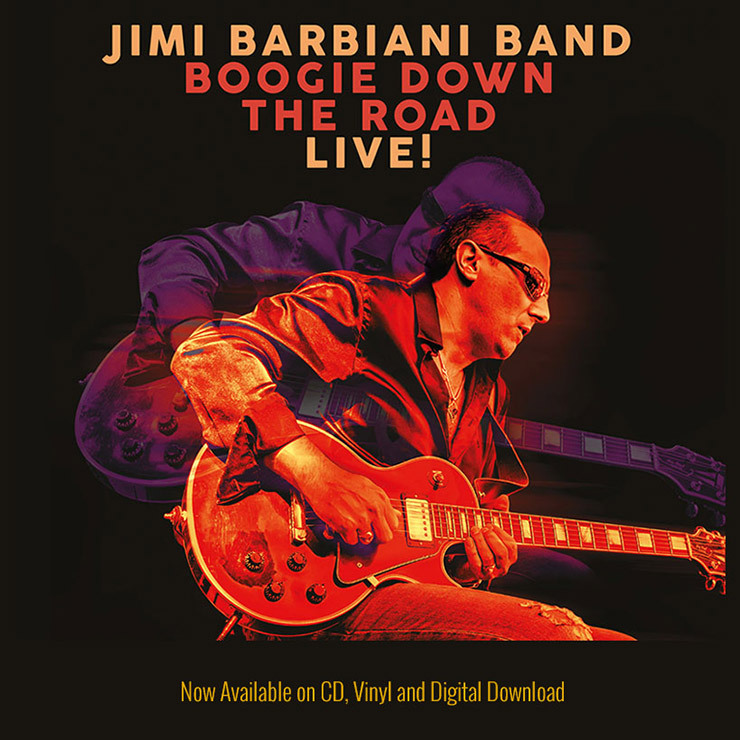 If you like blues-rock with guitar chops that can’t be duplicated, check out Barbiani’s new disc — it will transport you to the Delta via Mars, and send you back to earth as a new person! 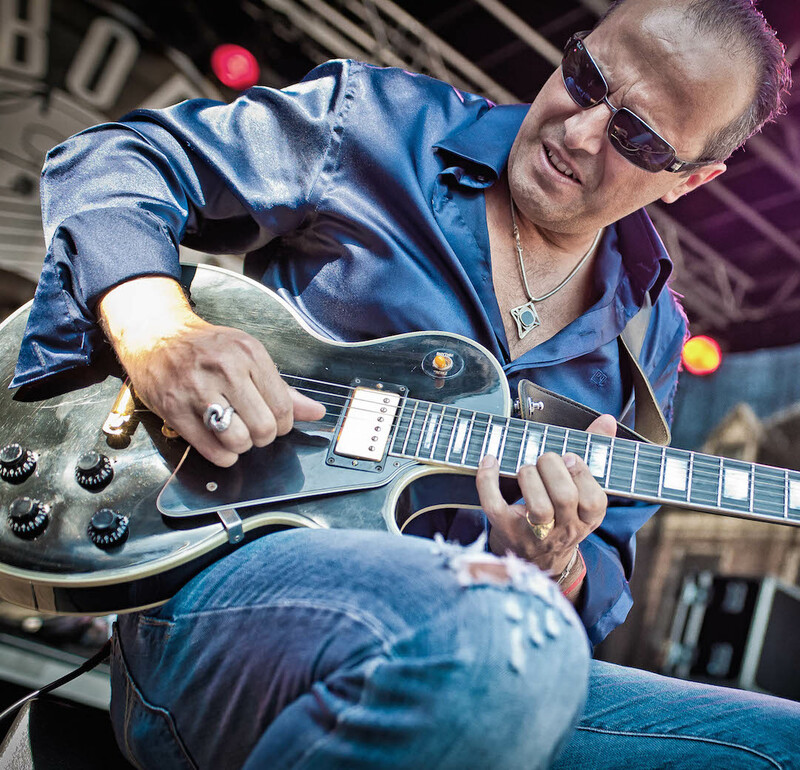 “After hearing Clapton, Hendrix, Beck, Winter, and so on, you’d think there was little left to hear in the blues-rock vein. 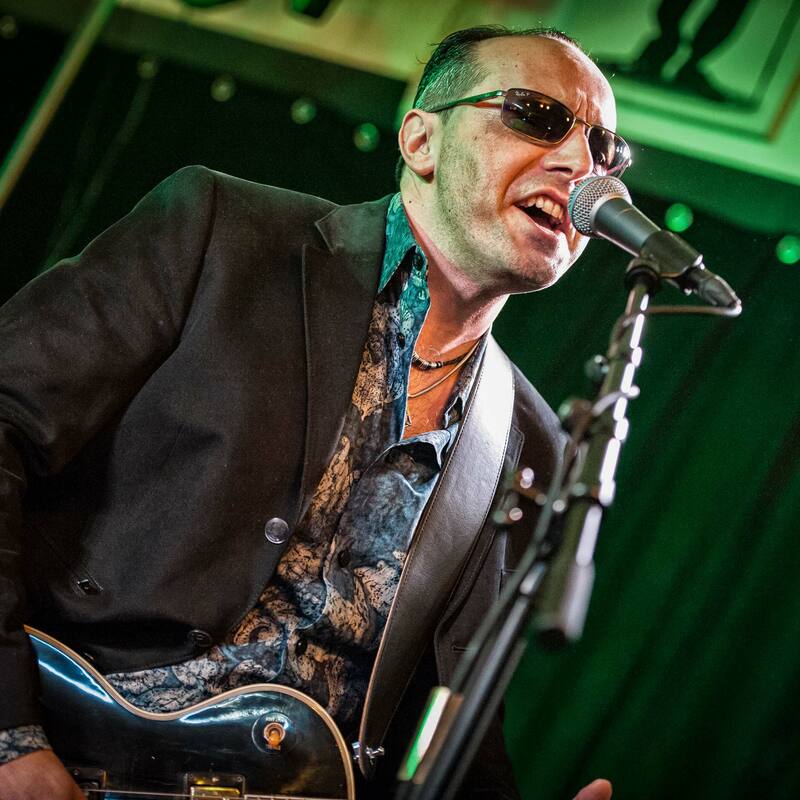 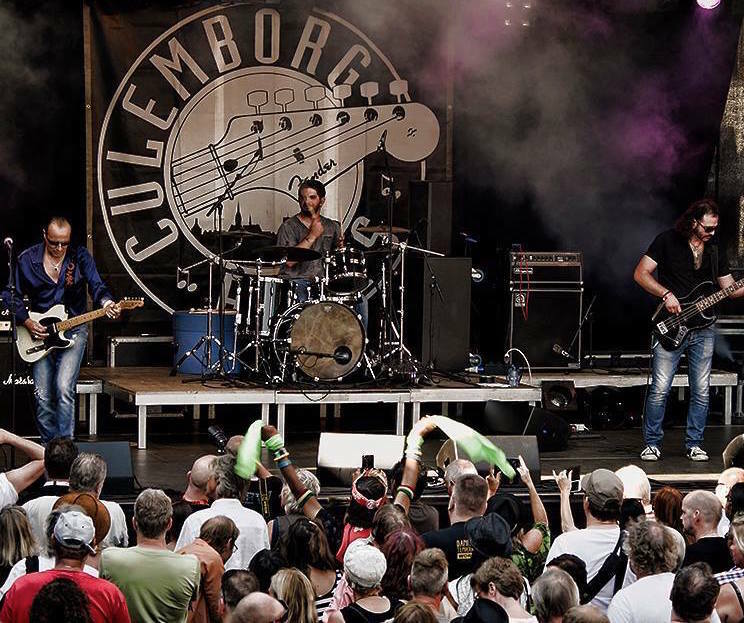 Enter Jimi Barbiani, who takes the blues-rock vein and shoots a mellifluous form of dope into it! 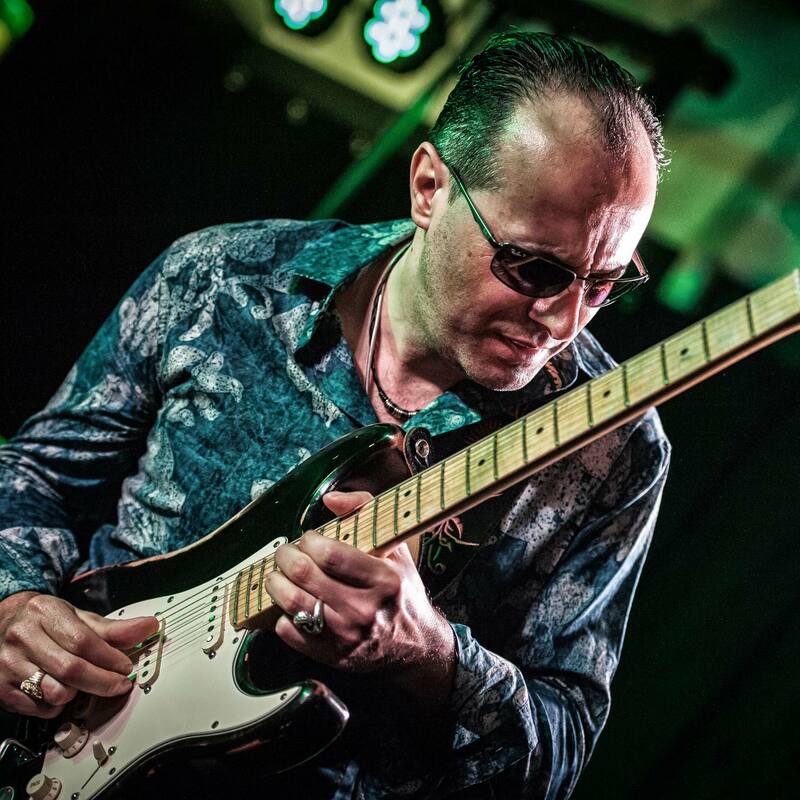 Jimi interview on best UK Blues Magazine "Blues Matters" Bluer Under The Radar!! 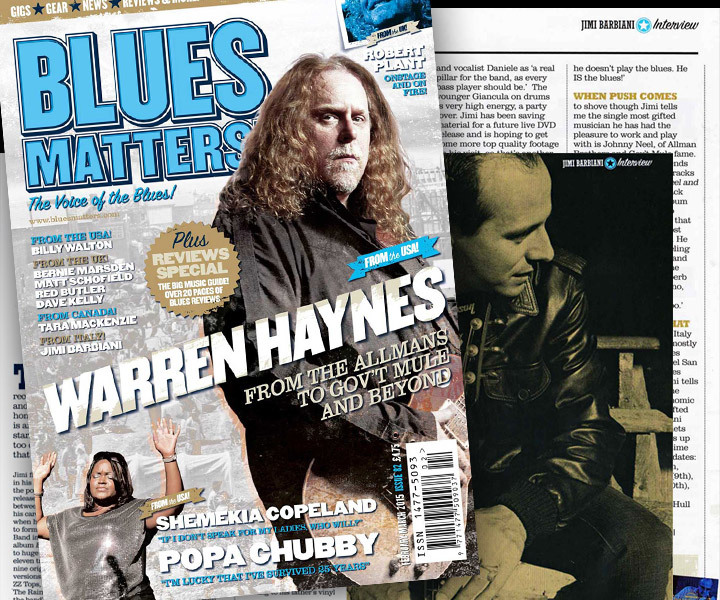 Also the name of Jimi is mentioned on the front cover of "Blues Matters" with "Warren Haynes"
Jimi Barbiani Band New Album "Boogie Down The Road (Live)"
Available Now also on Vinyl!